Home • Election Fever in our Paston Funday Preschool! Election Fever in our Paston Funday Preschool! 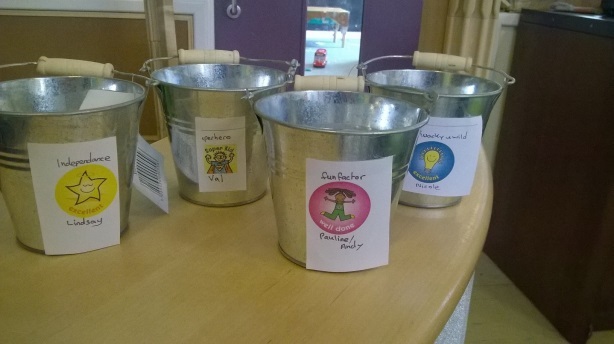 In line with June’s general election, one of our preschools in Peterborough tried its hand at a democratic vote of their own to introduce the children to some election customs – with a twist. Staff members created their own parties and crafted manifestos and policies they thought were sure to bag them the victory. Setting Supervisor, Val May, insisted that the winning party would need to deliver their manifesto pledges in full during preschool sessions. Nicole Thorpe, leader of the “Wacky and Wild” party madpresce promises that included science experiments, milk art, and making lava lamps. The “What Can You Do?” independent party, led by Lindsay Bliss, promised to provide personal challenges to the children including getting themselves changed for PE, hitting a target by kicking a ball at it, and using scissors to cut out shapes. There were even rumours of bribing the electorate when Lindsay offered voters stickers to reward achievements! Val May headed the “Superhero” party and pledged opportunities for making masks, capes, and shields to use their physical skills in a silly string squirting activity. 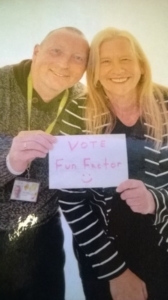 Andy Wallman and Pauline Moorhouse joined forces to create the “Fun Factor” party, campaigning ruthlessly to secure votes – they were even spotted sneaking into the preschool photo session to secure a free campaign poster! “Fun Factor” promised to support the children in building strong friendships whilst taking part in activities including a water fight, a “dress yourself” assault course, and pizza making. Children, parents and staff all had their say, and used tokens which the children posted into a sealed ballot box to cast their vote on June 8th. Tensions were high as the votes were counted and the result was announced. Val May secured victory for the Superhero party, with Wacky and Wild and What Can You Do? parties finishing in joint second. Andy Wallman of the Fun Factor party was heard to demand a recount, but his appeal was dismissed to the cries of “bad loser!”. Pauline Moorhouse of the Fun Factor party escaped to a beach in Egypt and was unavailable for comment. In a surprise twist – Val May, in her role as preschool supervisor and winner of the election, announced she would be demanding all losing parties implement their manifestos during the Summer term to ensure a good time was had by everyone! -Kate Hornsby, Early Years Manager, Paston Fundays Preschool, Peterborough. To find out more about the range of Early Years services we provide, and how we’re supporting the development of young children and their families so they can have the best possible start in life, click here.